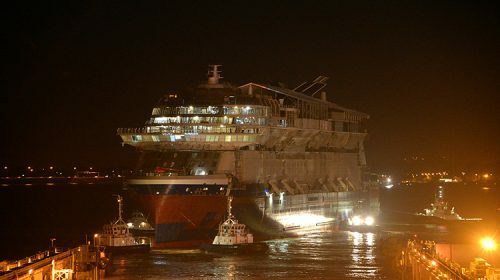 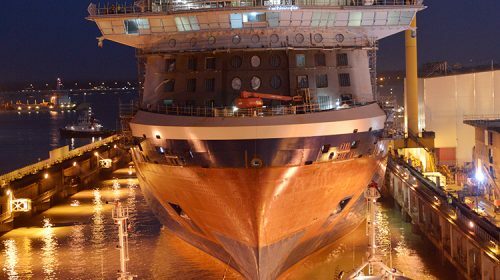 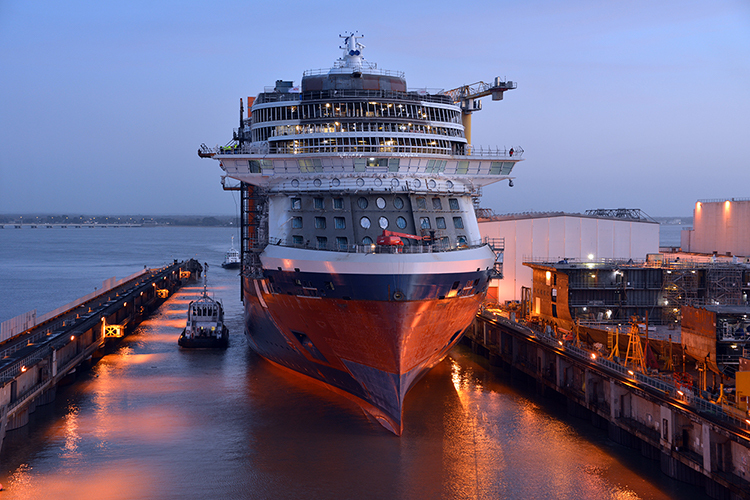 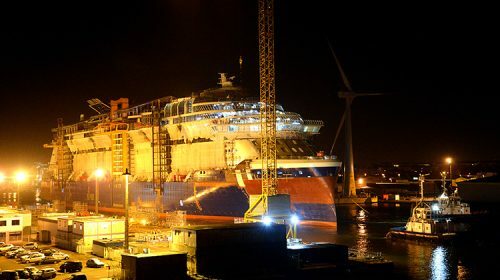 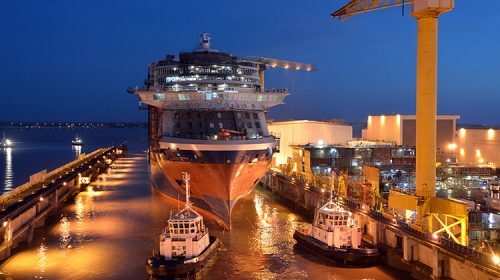 Celebrity Edge, the latest cruise ship from Celebrity Cruises has been floated out of her dry dock at the STX shipyard in France. 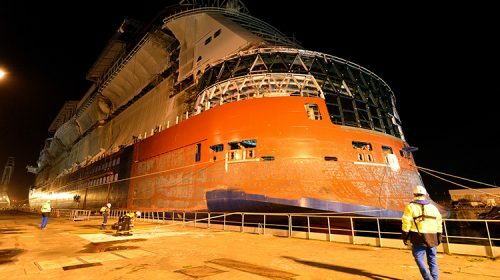 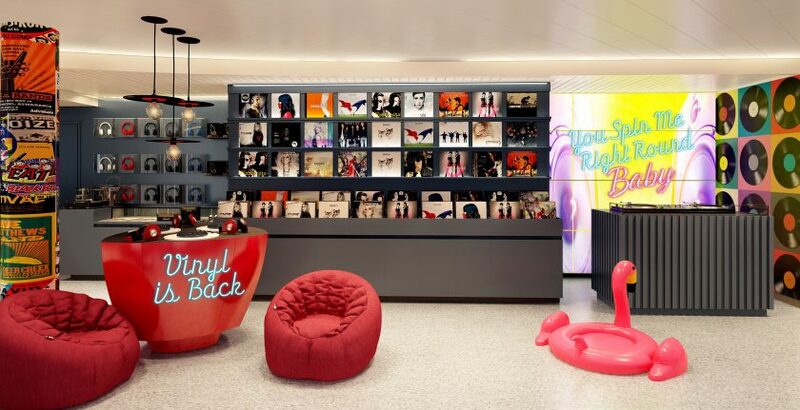 The countdown is now on to her debut in just nine months. 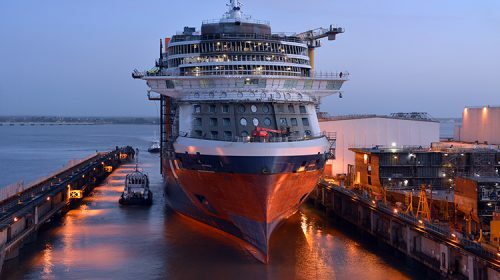 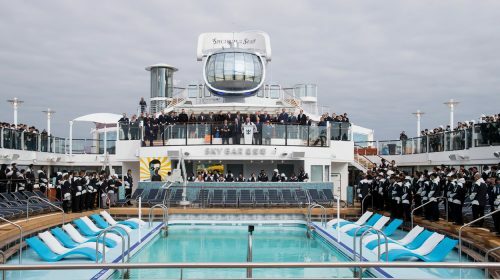 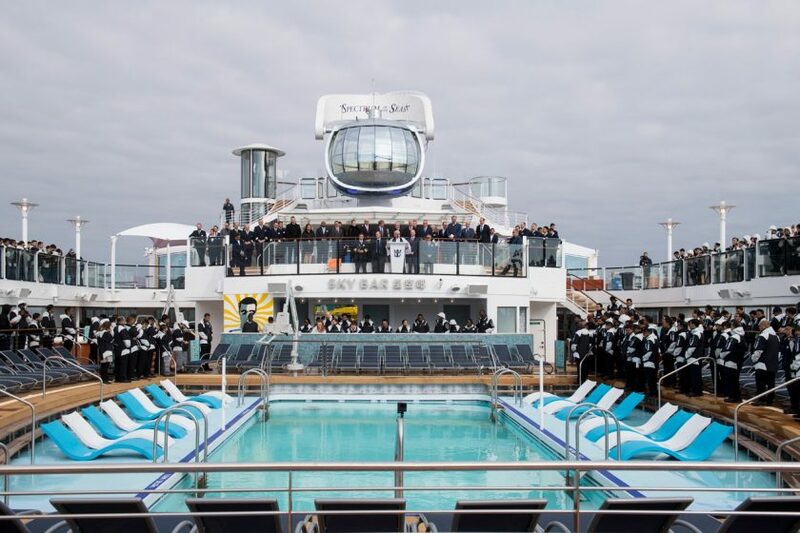 Celebrity Edge represents the first new cruise ship in 6 years, and the first new class of ship from Celebrity Cruises in 10 years. 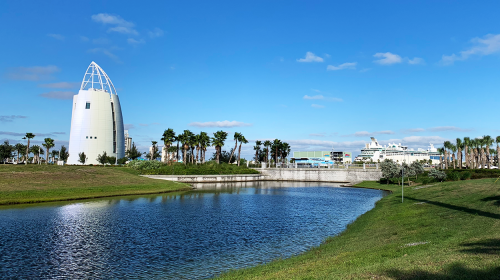 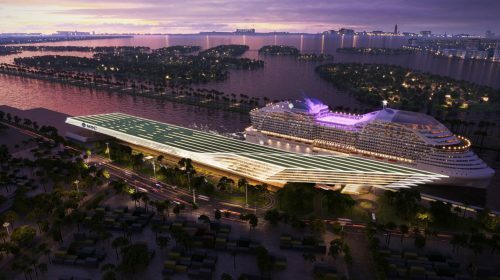 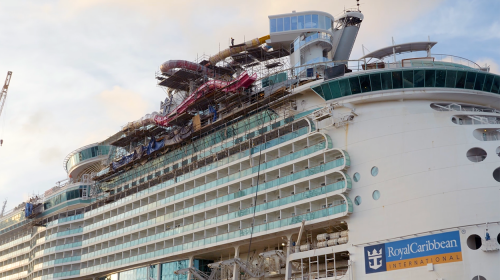 Featuring the work of A-list global architects and designers, the 2,918-guest Celebrity Edge will make her debut in Port Everglades, Florida starting in November 2018. 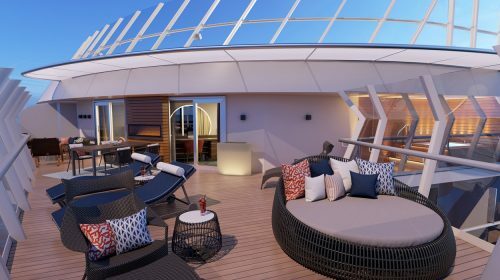 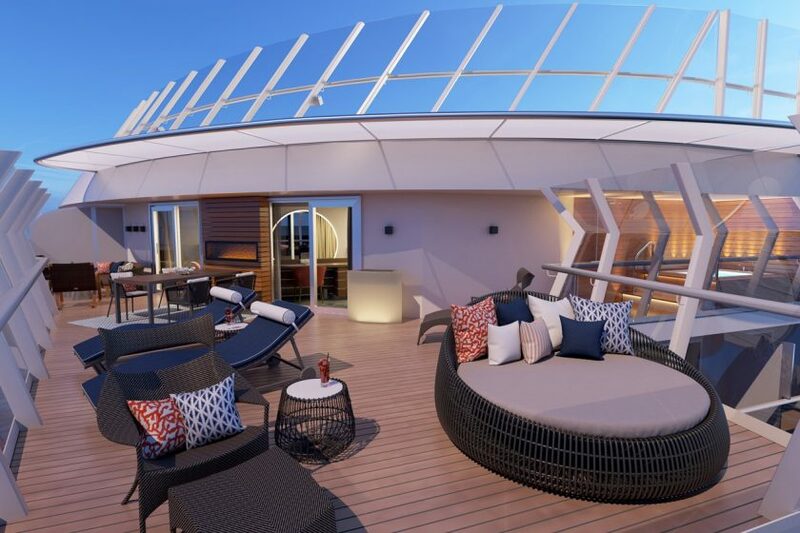 Celebrity Edge will spend her inaugural season sailing alternating seven-night eastern and western Caribbean itineraries before transporting guests to the stunning vistas of the Mediterranean with a range of seven- to 11-night sailings from iconic cities like Barcelona and Rome in 2019.